Cheers to Lauren and Ryan’s wedding suite and celebrating their “Zest Day Ever”! Marrying the sophisticated color palette of gold and navy was the softest blush paper you have ever seen! The beveled and hand-painted metallic gold edging of the invite compliments the metallic gold envelope and printing on the reception card. 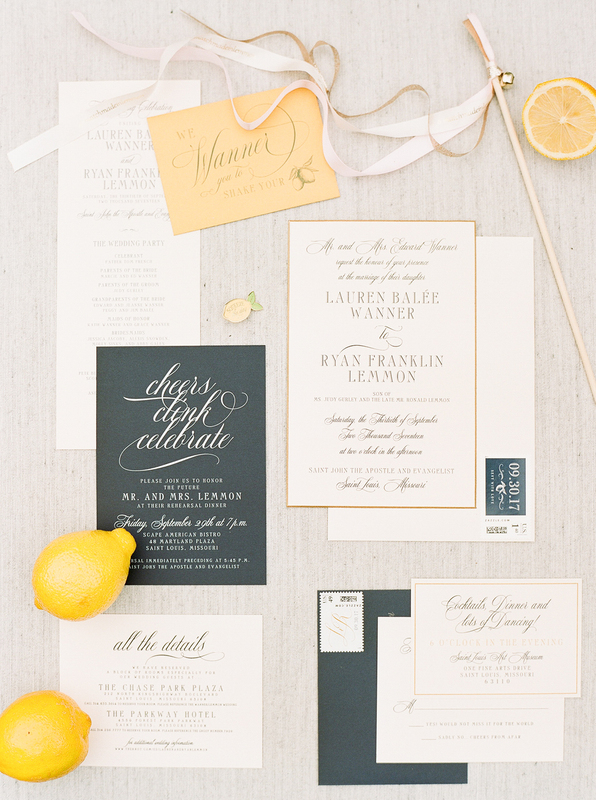 The lemon design was used in as the “pop of whimsy-fun” on the reception card envelope and custom stamps. Playing on both clients last names, this collection was truly a #matchmadeinlemmon that made all “Wanner” celebrate!! !